Many people naturally have teeth with many deep grooves. Most commonly found in the back molars, these grooves can make it difficult to fully remove food particles and bacteria. This makes them the perfect place for bacteria to bury in and create tooth decay. Our genes play a large role in our overall health, including the health of our mouths. Some genes make certain people more susceptible to having large amounts of mouth bacteria while others can be responsible for brittle teeth. Both of these concerns are likely to increase the person’s risk of cavities. Dry mouth is a common side effect of many medications and even some cancer treatments. While this may seem like no big deal or simply an unpleasant feeling, dry mouth can be dangerous to oral health. When someone suffers from dry mouth, they aren’t producing enough saliva to rinse away bacteria or neutralize acid. This allows the bacteria to hang around and decay teeth and the acid to damage protective enamel. Without enamel, teeth are at even more risk for decay. 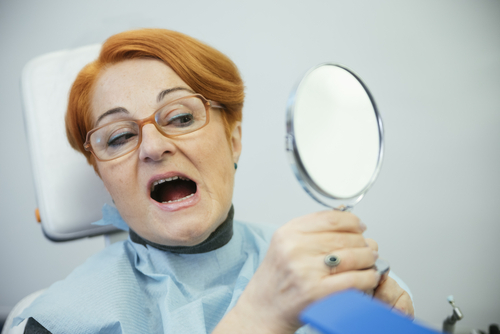 Just like the rest of our bodies, our oral health changes as we get older. Our teeth may become weaker, our mouths drier, and our gums may even recede. All of these things allow bacteria to attack our mouths and teeth, increasing the likelihood of cavities. Dental restorations such as fillings are designed to fix problems such as cavities. However, if done improperly they can have an adverse effect. Loose fillings or ones that are too large can allow bacteria to get under them. If this happens, the decay can continue to affect the tooth. Most likely, the filling will need to be replaced. Tooth grinding is common among the U.S. population. Whether done during sleep or as a response to stress, it can not only damage teeth, it can also make it easier for cavities to form. The repeated tooth-on-tooth grinding wears away enamel. As we learned earlier, less enamel means more risk for cavities. We recommend doing your best to avoid the controllable lifestyle choices above that contribute to dental decay. And while you may not be able to totally avoid or change the others, our dental office in Nottingham can help reduce the effect they have on your teeth. We welcome you to schedule an appointment so we can work together to prevent cavities or other oral health problems.